To get the true flavor of any fish, all you really need is olive oil, sea salt and black pepper. 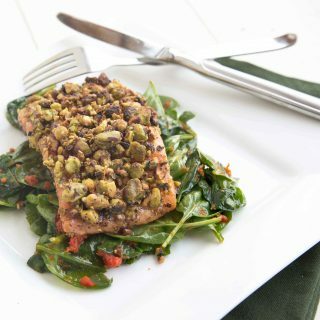 My recipe is easy to prepare and will work on any of your favorite fish. 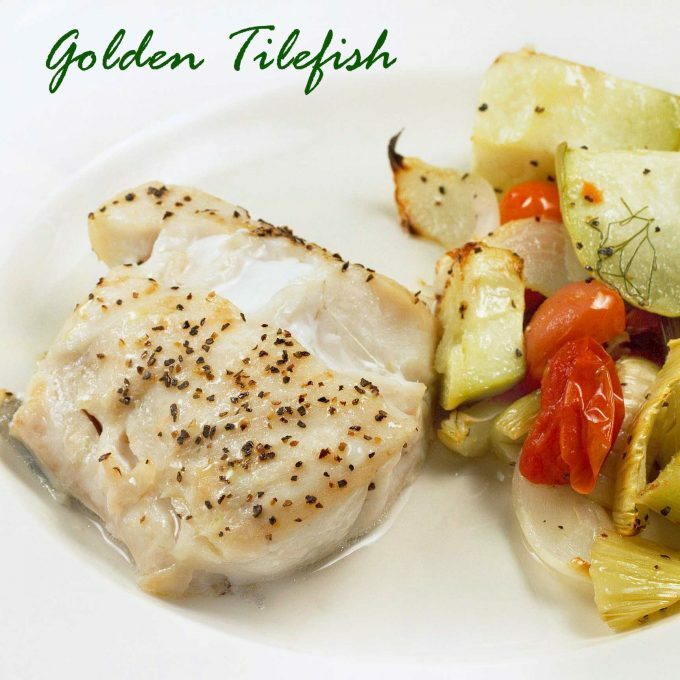 Enjoy this quick and easy restaurant style Golden Tilefish for dinner tonight. 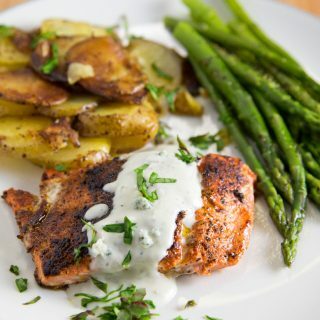 Fish has never been my favorite meal, but in an effort better, we do have fresh fish 2 or 3 times a month, and thanks to Wegman’s glorious seafood department we can always count on a quality product. I can’t remember ever seeing Golden Tilefish before, or at least I never heard called by that name, but according to the Monterey Bay Aquarium Seafood Watch, it is a good alternative to other varieties of Tile Fish on the watch. Tile Fish can be found in the Mid-Atlantic waters of the United States, and is on the recovery from being overfished, unlike the southern varieties of Tilefish which are still considered to be overfished. I can’t stress how important it is to know where your fish is coming from and to be responsible about buying sustainable seafood, so make sure you ask questions when you buying fresh fish! Everything I read about Tilefish compares it to Lobster, I don’t think it’s even close, but that’s just my opinion. If I had to compare it with another fish, I might say cod, it had a nice mild flavor and was firm and flaky. It would probably grill well, or even breaded and fried, but anyway you cook it, make sure you don’t overcook it because it will get dry on you. My standard preparation for any oven roasted fish is pretty much the same, Olive Oil, Sea Salt and fresh ground Pepper and always add a little water to the pan when roasting fish, so it doesn’t dry out! 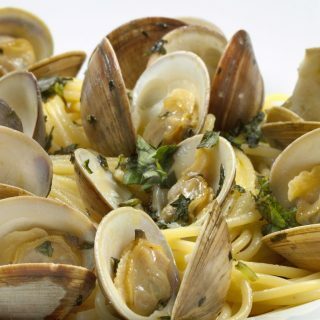 Remember it comes from the sea, so it should have a little water in the pan to help keep it moist! While shopping I came across a new vegetable (at least new for me), a Chayote aka the Pear Squash, which is quite appropriate because they do look like pears. Chayote is a combination of a zucchini and a cucumber, lots and lots of moisture, but almost no flavor what so ever, really bland. I did read one recipe for it, and they had recommended cooking it with onions and bacon (that would make almost anything taste better) and yet another recipe called for it raw and marinated in lemon juice. That actually sounds like a better use of Chayote, if you really feel the need to eat one! I roasted mine along with fennel, grape tomatoes and onions, with olive oil, sea salt and fresh ground pepper…..I know boring, but I like to let the natural flavors of what I’m cooking take center stage, that’s the only way you know what the true flavor of what your eating is. You can always adjust from there the next time you cook it, but it’s good to know what it tastes like without masking the flavors. You’re right: the best preparation for fish is the simplest. The tilefish I prepared came out perfect. Thanks for the info. on Tilefish. I see it sometimes in the market but never knew what to do about it. Chayote is used here in Mexican food and in Cajun food, known as Mirliton there. Use as you would any squash. I went deep sea fishing this weekend. After an early flurry of Albacore, Tuna, Shark and Mahi, things slowed down. The captain and mate were feeling bad and asked if we wanted to try some tile fishing before we went in. We were game and tried it. It’s not as exciting as the other fish, but we caught our limit in about and hour and had about 25 pounds of tile fish filets as our reward. The mate suggested cubing the filets and poaching. I have plenty to work with. Will try your recipe as well. FYI, catching tile fish is like hauling in an old boot. Just keep cranking. I would like to cook a whole golden tile fish. Any recommendations for preparations. Temp at 350*? Great tip about putting water in the pan that makes a lot of sense and unfortunately I’ve never heard it before! Tile fish sounds fantastic! I’ve never tried it before but I have seen it, I’m a big fan of cod so I can see really liking this. Great post! 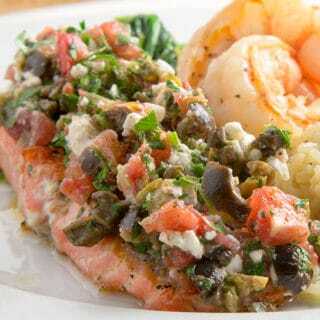 What an interesting yet delicious-looking fish dish! The fish and the veggie are new to me!! That fish looks PERFECT. I’ve never heard of a tile fish before. I’m going to keep my eyes open for it now. I giggled at the comparison to lobster. WHY do people ever think of those things? There is no way I’m going to agree that any fish tastes like lobster! Now, dipped in garlic and butter, the flavor might be there… but that’s it. 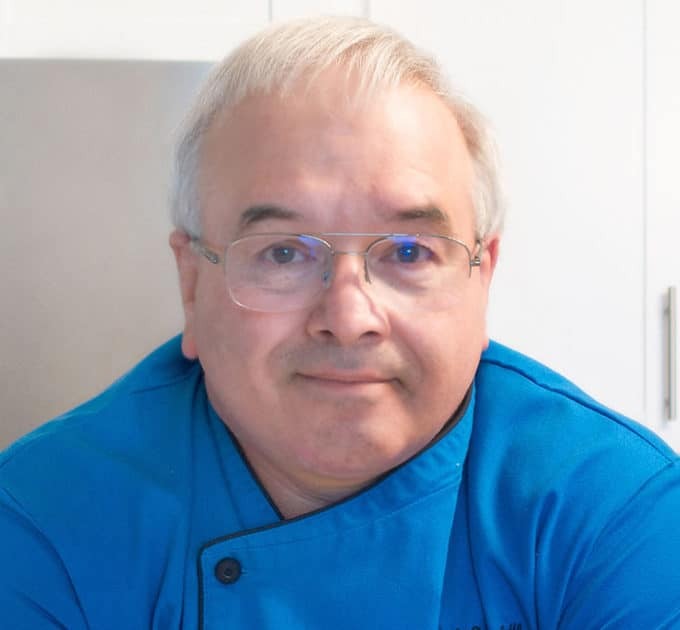 Have an awesome day, Chef Dennis!! P.S. – I linked to your site and to the Neighborhood Blog Watch page in my last post… Hope that’s okay! This looks delish! 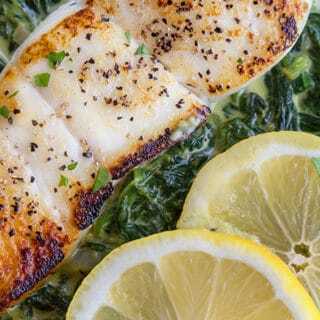 I have never heard of Tile Fish, but I have heard that Monk fish is supposed to taste like lobster so I wonder if they are similar? This looks great and thanks for the tip on cooking with a little water – that makes sense to me! This fish looks delicious! I’ve never had tile fish! I always find that you only need a few ingredients for fish to taste good. And thank you so much for the tips on how to handle copyright infringement. I’m so paranoid about it happening to me and you would be the first person I would come to with questions if it did happen so this post is very helpful! Is there a way to tell, say, in Google, if someone has stolen your images? It’s scary to think someone might be stealing images and I would not know about it unless someone I know stumbled upon it! I’ve never heard of Golden Tile Fish before either, but I will now be sure to keep a look out for it! I’m so glad to see this fish on here. Always good to hear about sustainable seafood! Thanks Dennis! I don’t think there’s much content on my site anyone would WANT to steal, but I do think what you’re doing is incredible. It is sad that we live during a time when this kind of watch is necessary at all. Your fish looks amazing. I do enjoy a good, tender white fish so I’m sure I’d like this one. Cost is usually what holds me back from purchasing though. Many thanks for the recommendation on the tilefish. 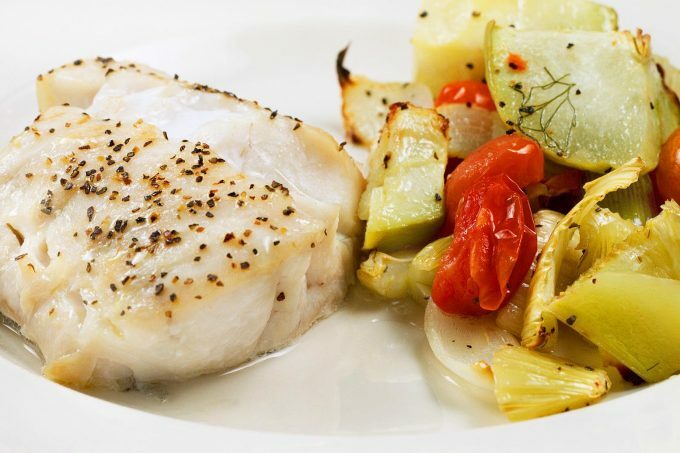 Love the simplicity of this dish – I’ve never seen tilefish in the market. Will have to keep my eyes open for it. Cheff, I want to thank you for your support. I want to try this recipe, it looks delicious the quality of the products is so important. I am not familiar with Tile fish (I will have to check on some of my books), you mentioned that for what you have read the Tile fish compares to lobster. The only fish I know it compares to lobster is Monk fish. I used to be able to order here in town but they don’t want to do it anymore. Here it is hard to find good and a variety of fish. I agree, sometimes just a simple preparation of good ingredients is best. That looks like a wonderful meal! And I keep forgetting to sign up for the watch. Silly kids always get me side tracked. Although it is sad that a watch is needed, it’s nice to know that there are actions you can take against offending blogs or websites. Thanks as always for your hard work and all that you do to help other bloggers! Oh goodness, I can totally do that! I support the blog watch regardless. I like fish but I get tired of the same. Salmon. I do LOVE LOVE LOVE salmon but you can have too much of a good thing. Seriously. 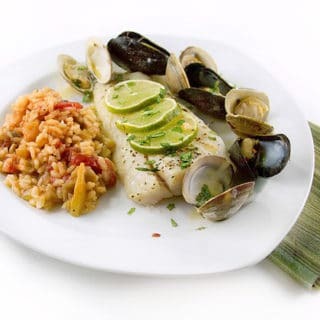 I would love to try tilefish. I’ve never heard of Tile Fish, but it does sound good. I agree with y’all, it’s important to know where your fish is coming from. Once again: We ❤ Chef Dennis!! Thanks again for all your help in directing me to help with my own content thievery. You have so much info Dennis, I truly appreciate all of your efforts. Now on to the fish… I’ve never heard of Tile Fish, though it really sounds like something I would like. I’m going to have to keep my eye out for it. I’m with you on knowing where your fish is coming from. I’ve been reading about some fish imported from China and it’s not pretty. Great dish, simple but I’m sure very flavourful. Trying new ingredients is always fun.